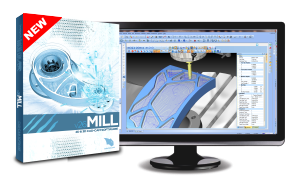 Computer Aided Design & Manufacturing software BobCAD-CAM, Inc announces the release of their all new Version 26 Core CAD-CAM software for CNC Milling. The new milling release combines existing 2D and 3D machining technology with Dynamic Machining Strategies / DMS Technology (TM) that streamline how CAM programming takes place by allowing the programmer to utilize as many machining strategies as needed within a job operation in the CAM Tree Manager. Advanced Tool Patterns have also been added to fully customize each machining operation. Traditionally, CNC Software allows the operator to load machining strategies into a CAM Tree one at a time to program a job. This method can lead to repeated geometry selection and time consuming editing tasks. The new DMS functionality eliminates having to load cutting strategies separately into a CAM Tree one at a time. Thus, streamlining the entire CAM programming workflow and speeding up the programming process dramatically. The Dynamic Machining Strategies have been added to the systems Wizards for programming. Wizards remove the guesswork and allow a new user to complete their jobs without unnecessary learning curves while still providing all the control that advanced users love. Other important features added are a new Job Setup Wizard for defining what type of job is taking place, customizable Job Setup Sheets that can be generated and handed off to the CNC department or programmer, Multiple Depth cutting enhancements for engraving, additional tools added to the profiling feature, a simplified CAM Tree, and many other features that affect general functionality and post processing. For example, the new posting enhancements include being able to post out programs by tool, by feature, or by operation. These posting enhancements were implemented in direct response to customer requests. In addition, new T-Cutter, Dove tail and Lollipop Cutters are now available within the Profile Milling operation. 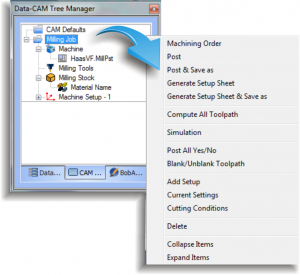 The CAM Tree has been given a tune up and simplifies to relate better to cnc machining and programmers who need speed and efficiency. “The new Dynamic Machining Strategies really fit the purpose of CAM software now because they make programming so much faster, smarter and easier,” commented Greg Myers, who heads up the BobCAD-CAM development team. The new release also includes enhanced thread milling operations supporting multiple holes and customizable starting points for multiple finishing passes. The advanced tool patterns allow the programmer to take existing machining operations or strategies and add toolpath types within them. “This level of customization continues to streamline how users program with CAM”, added Myers. A great new v26 software feature is that job Setup Sheets can be customized and automatically generated. This allows the programmer to create a complete summary of the job data and all tools for machining personnel. “This new release accommodates existing customers with new features that they’ve been asking for and really sets up new users with a product that they won’t have to spend much time learning, largely in part to these new Wizards, as they really remove the guesswork,” continued Myers. BobCAD-CAM Version 26 CAD-CAM software is also for programming CNC Routers, WaterJets, Lasers, Burning and Plasma machines for 2 through 5 axis CNC machining. 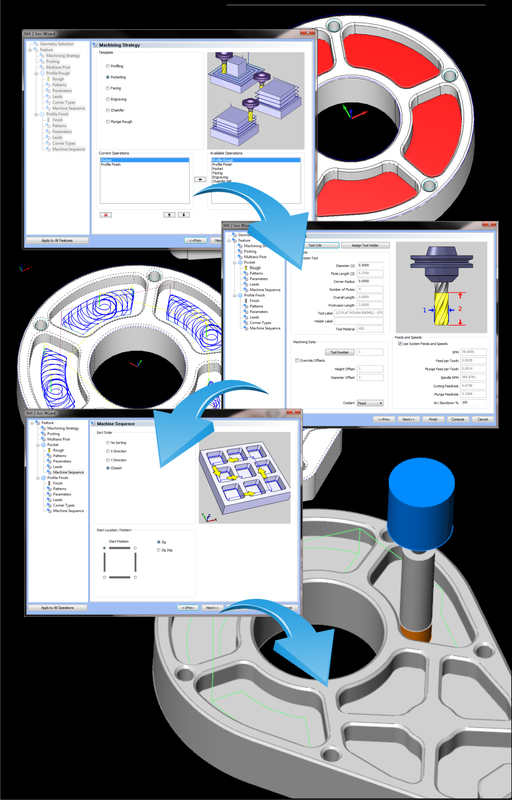 Additional CAD-CAM modules include software products for artistic manufacturing, nesting and sheet optimizing as well as machine simulation. BobCAD-CAM has provided CAD/CAM CNC software products to the global manufacturing industry for over 25 years. BobCAD-CAM’s powerful yet affordable software is used to increase CNC productivity for many applications including educational and hobby use. BobCAD-CAM also provides a variety of quality training and technical support solutions to their customers. For more information on the new Version 26 release, contact BobCAD-CAM directly at 877-262-2231 or 727-442-3554.